All bars sold at the Emirates Palace ARM are of 24 carat purity and every item comes with a money-back guarantee. "We are looking at setting up similar facilities all across the GCC. We chose Emirates Palace, one of the most marvellous places in the world, to launch the Gold ATM. However, this is only a beginning," said Geissler. The gold vending machine underwent testing at various locations before being installed in the dome of Emirates Palace where customers can buy gold bars weighing from 1 gram to 250 grams. 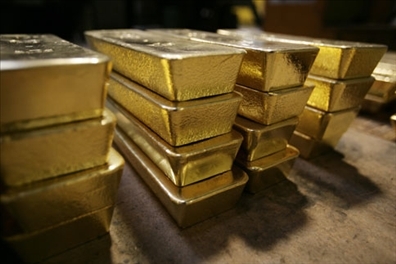 "The pricing of the bars is based on a mix of London and New York spot gold markets, with a small premium built in," said Geissler. "Our data centre in Germany mixes the spot gold prices prevailing on the two markets and adds a little premium to give the customer a fair value," he added. Geissler said the gold prices in the ATM machine will change every 10 minutes. A computer in the machine ensures that the real-time prices are updated in line with the online shop at Gold-Super-Markt.de. This eliminates the risk premiums usually associated with precious metal trading. No sales staff are needed to operate the machine. All bars sold are 24 carat and every item comes with a money-back guarantee. Geissler said the gold bar weighing 10 grams or more will have the Emirates Palace hologram embossed on it. "The gold ATM machine has initially been placed at the Emirates Palace for eight weeks. We will see how our gold sales go during this period before setting a longer term goal," Geissler added. Want to look anything up? ?